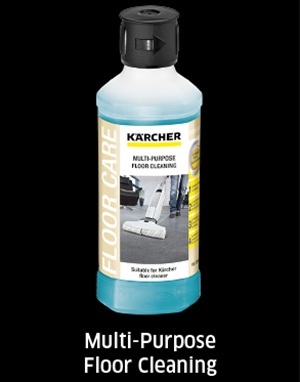 This multi-purpose cleaning detergent is great for a variety of uses in the Karcher FC 5 Hard Floor Cleaner. The solution can be used on all hard floors and without the risk of streaks appearing on the surface. The solution delivers citrus fragrance to your floor leaving it clean and fresh after performing a clean. You can view the safety specifications sheet here.